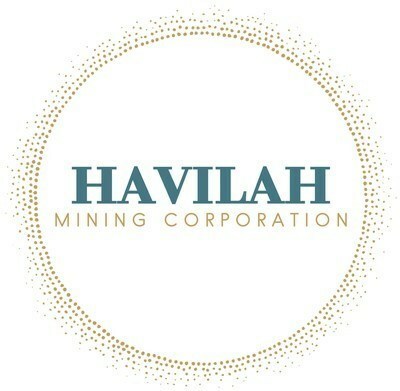 TORONTO, March 18, 2019 /CNW/ - Havilah Mining Corporation ("Havilah" or the "Company") (TSXV: HMC) is pleased to announce that the Company has closed the previously announced non-brokered private placement financing for aggregate proceeds of $4,000,000 (the "Offering"). The Offering consisted of 8,333,333 flow-through common shares ("FT Shares") at a price of $0.48 per FT Share. The gross proceeds from the sale of the FT Shares will be used to incur eligible Canadian Exploration Expenses ("CEE") at the Company's True North project for exploration of the Rice Lake greenstone belt located in Manitoba, Canada. The Company will renounce CEE effective on or before December 31, 2019. Pursuant to applicable Canadian securities laws, all securities issued pursuant to the Private Placement are subject to a hold period of four months and one day, expiring on July 18, 2019. The Private Placement remains subject to the TSX Venture Exchange's final approval. The Rice Lake greenstone belt is situated at the western extent of the Uchi Subprovince of the Archean Superior Province, approximately 150 kilometres northeast of Winnipeg, Manitoba and 110 kilometres west of Red Lake, Ontario. It represents the Manitoba extension of the Red Lake and Birch-Uchi greenstone belts in Ontario, which have collectedly produced in excess of 30 million ounces of gold. Like the Red Lake belt, the Rice Lake belt records more than 300 million years of magmatism, sedimentation and orogenic activity along the south margin of the North Caribou Terrane – the ancient nucleus of the western Superior Province. Additionally, the Rice Lake belt is bounded by crustal-scale faults and contains fault-controlled basins of 'Temiskaming-like' fluvial-alluvial clastic rocks, which are important empirical guides to areas of high potential for orogenic gold deposits of the type found elsewhere in the Superior Province, most notably in the Timmins camp (Abitibi greenstone belt) in Ontario. Havilah is a junior gold producer and explorer that owns the True North mine and mill complex, and is currently reprocessing historic tailings on a seasonal basis. In addition to operating True North in Bissett, Manitoba, Havilah holds approximately 53,000 hectares of prospective land within and adjacent to the Rice Lake greenstone belt. Havilah believes its land package is a prime exploration opportunity, with potential to develop a mining district centred on its True North facility. The Company also owns the Tully project near Timmins, Ontario, and intends to focus on both organic growth opportunities and accretive acquisition opportunities in North America. This press release may contain forward-looking statements. Often, but not always, forward-looking statements can be identified by the use of words such as "plans", "expects" or "does not expect", "is expected", "budget", "scheduled", "estimates", "forecasts", "intends", "anticipates" or "does not anticipate", or "believes", or describes a "goal", or variation of such words and phrases or state that certain actions, events or results "may", "could", "would", "might" or "will" be taken, occur or be achieved. This press release may contain forward-looking statements. Often, but not always, forward-looking statements can be identified by the use of words such as "plans", "expects", or "does not expect", "is expected", "budget", "scheduled", "estimates", "forecasts", "intends", "anticipates" or "does not anticipate", or "believes", or describes a "goal", or variation of such words and phrases or state that certain actions, events or results "may", "could", "would", "might" or "will" be taken, occur or be achieved. Forward-looking statements involve known and unknown risks, future events, conditions, uncertainties and other factors which may cause the actual results, performance or achievements to be materially different from any future results, prediction, projection, forecast, performance or achievements expressed or implied by the forward-looking statements. All statements that address expectations or projections about the future, including but not limited to, statements about the proposed Offering and use of proceeds therefrom and contemplated approvals of the TSXV, are forward-looking statements. Although Havilah has attempted to identify important factors that could cause actual actions, events or results to differ materially from those described in forward-looking statements, there may be other factors that cause actions, events or results not to be as anticipated, estimated or intended. There can be no assurance that forward-looking statements will prove to be accurate, as actual results and future events could differ materially from those anticipated in such statements. Accordingly, readers should not place undue reliance on forward-looking statements.